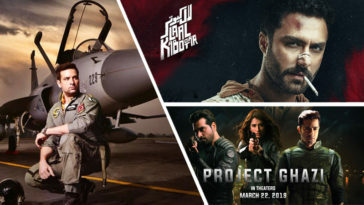 After their recent inflow, its now raining web series in Pakistan as every other day we get to hear some latest news on upcoming web projects. One such project that has been in news for last week is “Mind Games”. The series is written by Inaam Shah and is directed by Farhan Tajammul and features an exciting cast including Emmad Irfani, Sana Fakhar, Shamoon Abbasi and Kinza Razzaq. With his character ‘Shayaan’ from currently on air tv serial “Cheekh” getting applauds from all over, Emmad is now ready to venture into digital world with this web series. “Mind Games” is a spy action thriller and is based on some true events, including some yesteryear’s incident where a “super model” was said to be involved in money laundering. The project is currently on floors in Karachi and is expected to potentially premiere on Netlfix. Well if that happens it will be big for Pakistan’s budding digital arena.